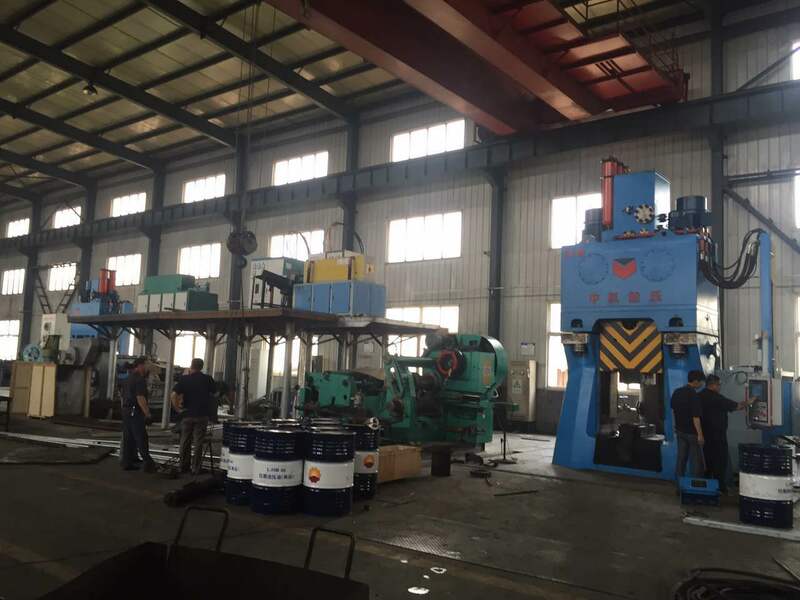 CFM C88K-63kJ and C88K-31.5kJ CNC fully hydraulic die forging hammers are debugged in Shandong Longkou Newstar Tools Co.,Ltd, engaged in designing, development and production of hand tools and matching tools. This is the second and third hammers of them bought from CFM. Striking energy and steps can be set numerically, which can reduce the surplus striking energy, lower the noise, prolong die lifetime. U-frame one-piece casting steel and radial wide guide rails make ram with high guiding accuracy. Three inserted locating faces for the guide rail, special design preventing bolts loosing. High integrated hydraulic control system, without any pipe connection. Special design for system safety protection, making sure the safety use of the forging hammer. Imported accumulator assembled on the hydraulic valve block directly, improved the transmission efficiency and easier to maintain. Swaying compound oil cylinder and elastic flexible hammer rod, high and low pressure double anti-leakage design, which greatly improved the reliability of the forging hammer. Slow up and down in the case of releasing hydraulic system pressure to make die changing safety.